The Blue Jays grip on the first wild card spot tightened ever so slightly on Monday night, as they survived a late scare to top the Orioles 7-5 in Baltimore. Toronto has received stellar production from all over the diamond this year, and Monday was no different as it was the young faces of the future helping spark a victory. Vlad Guerrero Jr. went 2-4 with a solo shot in the fourth inning, his third since his call-up on September 1st. Elsewhere, Bo Bichette came on as a defensive replacement in the sixth, and ended up being a crucial part of the win as he smacked a two-RBI single in the ninth to cash what would end up being the Blue Jays’ winning runs. After the Blue Jays were heavily criticized for supposedly rushing Bichette and Guerrero Jr. to the big leagues, the two wunderkinds have done nothing but prove the naysayers wrong during Toronto’s most recent playoff run. Guerrero is currently hitting .312 with three homers, and Bichette has coupled his .286 average with four doubles and a spectacular highlight-reel catch, robbing Didi Gregorius of the Yankees on Saturday. Starter Roberto Osuna continued his masterful 2018 campaign, throwing seven innings of two run ball with eight strikeouts and two walks. The right-hander has now thrown at least seven innings in six of his last nine starts, sporting an ERA of 2.40 over the same stretch to bring his season total to 3.62 over 168.2 innings. The Jays got off to a good start early, as Justin Smoak knocked a two-RBI double in the first. The ball hit off of the top of the wall, nearly clearing the fence for Smoak’s 30th home run on the season, but still managed to cash in Josh Donaldson and Devon Travis after starter Jesse Chavez issued back-to-back walks to start the game. Chavez calmed down afterwards to retire the side, and things stayed quiet until the bottom of the third, when Adam Jones singled in a run to center. The Blue Jays responded in the fourth, with Vlad Jr.’s 428-foot shot to left-center giving Toronto a 3-1 lead. The teams traded runs again in the fifth, where after Ryan Goins cashed in a two-out RBI single up the middle, Manny Machado hit a sacrifice fly to cut the lead to 4-2. In the sixth, Ezequiel Carrera led off with a walk before Josh Donaldson hit in his 93rd RBI of the season with a double off the wall in centre. The score remained 5-2 until the eighth, when Chris Davis belted a two-run home run off of a low-and-away Dominic Leone changeup, making it a one-run game. That didn’t last for long, however, as Bichette took advantage of hits by Teoscar Hernandez and Russell Martin in the top half of the ninth by lining a single to right-centre, cashing both Jays to extend the lead to 7-4. 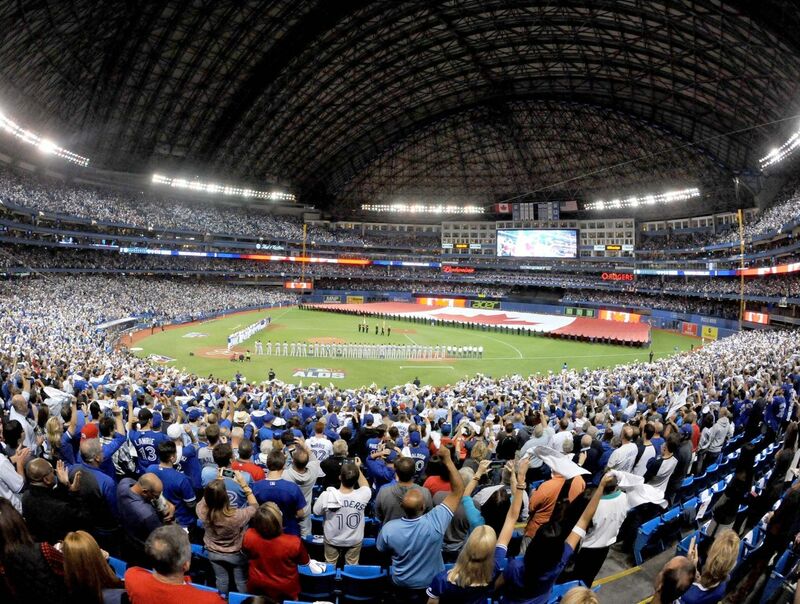 After taking two of three in Baltimore, the Blue Jays will return to the Rogers Centre on Thursday for their final homestand of the year as they take on the Rays. Chris Archer will take the hill for the Rays, who will face off against Blue Jays ace Shohei Otani.